Mario Balotelli will make his return for AC Milan against Catania on Sunday after receiving a three-match ban (reduced to two on appeal) for insulting an official earlier in April at Fiorentina. Without the Italy international, the Rossoneri dropped points against Napoli and Juventus and Massimiliano Allegri will be hoping the January deadline-day arrival will continue the revelatory form which has seen him score seven goals in eight games. Midway through Balotelli’s first season at Manchester City, he made waves with his antics on the football pitch in England for the first time – albeit for a bizarre reason. The striker was unable to put on a Europa League training bib during the warm-up for their clash with Dinamo Zagreb and was left looking ridiculous as he tangled with the apparel twice. In both instances, one of his coaches had to help dress the thoroughly-unamused attacker! 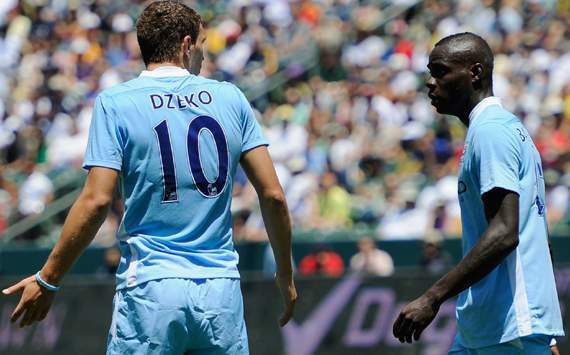 A video of Edin Dzeko mocking ‘Bib-lotelli’ and his problems putting on clothes went viral but his fellow Etihad Stadium striker found a novel way of getting back at the Bosnian. 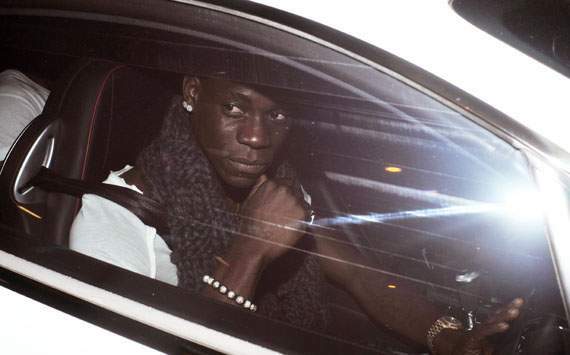 Prior to becoming famous in England for his off-the-field antics, Balotelli began his career at City with a bang by crashing his Audi R8 just over a fortnight after his €22 million switch from Inter. Police questioned the forward, who was unhurt following his €166,000 car’s write-off, as to why he was carrying around £5,000 [€6,000] with him at the time. “Because I’m rich,” came the reply. One of the first instances of Balotelli’s controversial nature reared its head in his first San Siro stint. The striker appeared on Italian television comedy show Striscia La Notizia and was given a Rossoneri shirt with his name emblazoned on the back. Never a man to turn down a chance to turn heads, the childhood Milan fan caused fury amongst the Nerazzurri faithful by later being seen wearing the arch-rival’s jersey on TV! After City won the FA Cup final at the end of Balotelli’s first campaign at the club, English broadcaster ITV thought it would be a good idea to interview the Italian man-of-the-match winner. A rookie mistake from the reporter, but some comedy gold for the viewers! When asked if the performance was his best at City, the striker responded: “All my season was s***, can I say that?” The sheepish interviewer shook his head, so Mario added “My season was bad” – but the moment was already memorable. Many critics felt Balotelli’s scrap in training with Mancini was the first real sign that his troubled career in Manchester was coming to a close and as the coach’s admirable patience began to wear thin. Twenty-eight days later, he was officially a Milan player. A bad tackle on Scott Sinclair caused Mancini to demand Balotelli go to the changing room and, when the 22-year-old refused to move, tempers flared as the boss tried to drag him off the pitch. 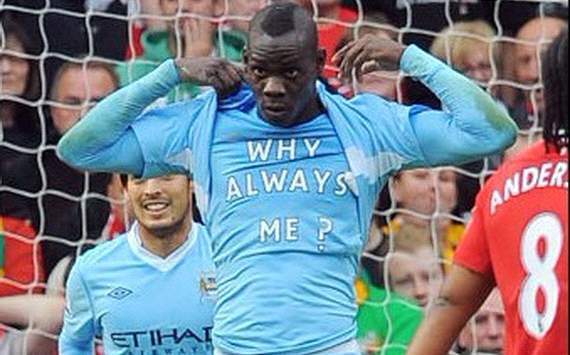 Does the limelight follow Balotelli or Balotelli follow the limelight? This instance is certainly a case of the latter as the City attacker strolled back to San Siro to interrupt Andrea Stramaccioni’s unveiling as Inter’s new boss. The coach was explaining why he was the man to save their season when the former Nerazzurri star waltzed in and started shaking hands with club chiefs. Stramaccioni was a good sport and took it in his stride, at least! The Azzurri forward’s antics rarely see him on the wrong side of the law, but when he drove his Mercedes into a women’s prison in October 2010 he very nearly ended up in handcuffs himself! Balotelli and his brother Enoch pleaded ignorance when quizzed by guards and claimed they did not know you needed permission to visit a jail and were simply “especially curious” at it being a facility just for women. 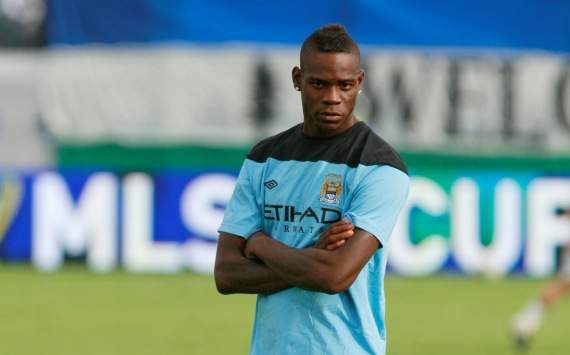 A month after Ashley Cole made splashes in the press for shooting a work placement student with an air rifle at Chelsea’s Cobham facilities in February 2011, it emerged that Balotelli had thrown darts out of the window at the City training ground at youth players! 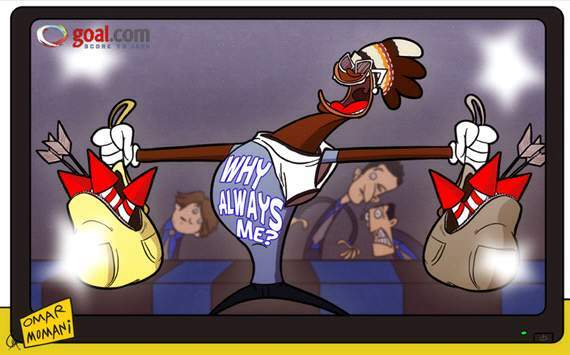 The striker was quizzed by the club after the revelation and swiftly fined €120,000 – a week’s wages – for his mischief. 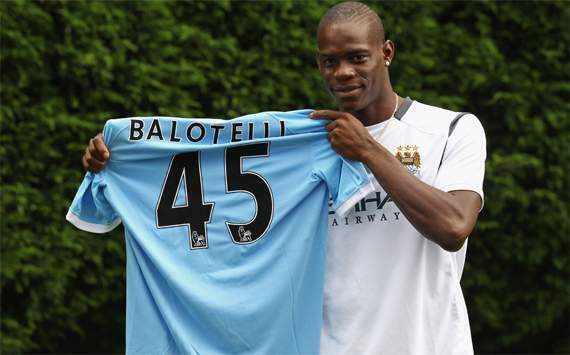 The most famous incident off the pitch for Balotelli also coincided with one of his most memorable moments on it. The striker’s bathroom was accidentally set alight with fireworks mere hours before the Manchester derby, but ‘Super Mario’ had the last laugh as he went on to help inspire City to a 6-1 win at Old Trafford against Manchester United and immortalise the words ‘Why always me?’ after scoring the opening goal.